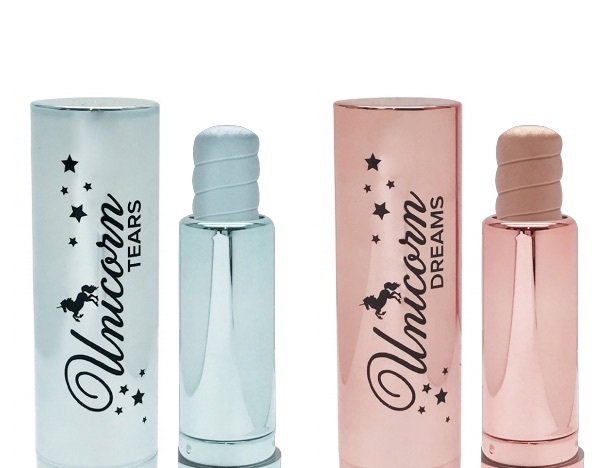 While we’re equally obsessed with mermaid beauty products, unicorn-inspired makeup always gives us an excuse to empty our wallets. So if you are a lover of all things unicorn (and rainbow, obviously), you’ll love Too Faced’s new festival-themed collection that’s coming out in early 2018.For the Life’s A Festival collection, Too Faced has paired up with country music star (and fellow unicorn enthusiast) RaeLynn. 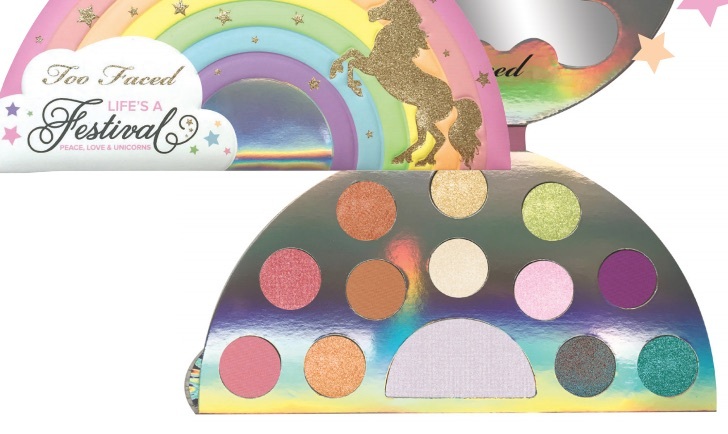 Filled with unicorn-themed highlighters, lip glosses, and palettes, this whimsical Too Faced collection is sure to be one of the most talked-about beauty launches of next year. The super adorable RaeLynn teased her partnership with Too Faced, sharing a photo on Instagram of the makeup look she wore at the 2017 CMA Awards. The look was a true unicorn lover’s delight. RaeLynn wore a rainbow-colored eye and highlight while holding a fun periwinkle brush with rainbow-tinted bristles. To give you a closer look at the Too Faced Life’s A Festival Collection, we’re breaking down six items from the collection that will cause major buzz. This 12-shade palette (including one highlight shade) will allow you to create all sorts of gorgeous looks. Each shade is scented and infused with rose quartz to help promote inner peace. This cooling makeup setting spray will keep your makeup in place. 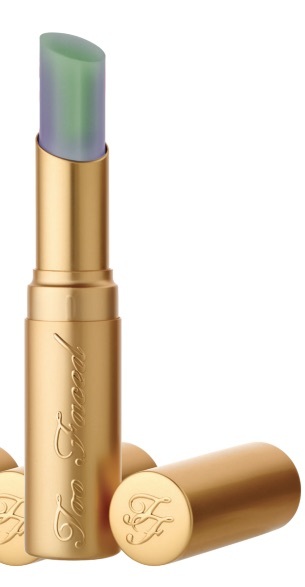 It’s also infused with opalescent pearls for all-over illumination. Each of these four creamy shades adjusts to your body chemistry to reveal a unique color. If you are obsessed with lip toppers, you’ll love this transforming gloss. It comes in four different shades. RaeLynn teased one of these brushes on Instagram, and we’re already obsessed as the colorful teddy bear hair bristles. Available in two different shades, this highlighting stick gives your face a dewy and glistening finish. If you are a unicorn enthusiast, or simply love anything Too Faced, be sure to mark your calendars for February 15th, when the Life’s A Festival collection launches.